The US Powerball made international headlines with its $687.8 million jackpot of October 27th, 2018. The prize ranks no.3 on the largest Powerball jackpots list. There were two winning tickets for the big prize. One of them was from Iowa and the other from New York. Now, the first of the two jackpot winners has come forward and her story is absolutely amazing! Lerynne West from Redfield, Iowa is 51 years old. She is the proud mother of three and the grandmother of six. 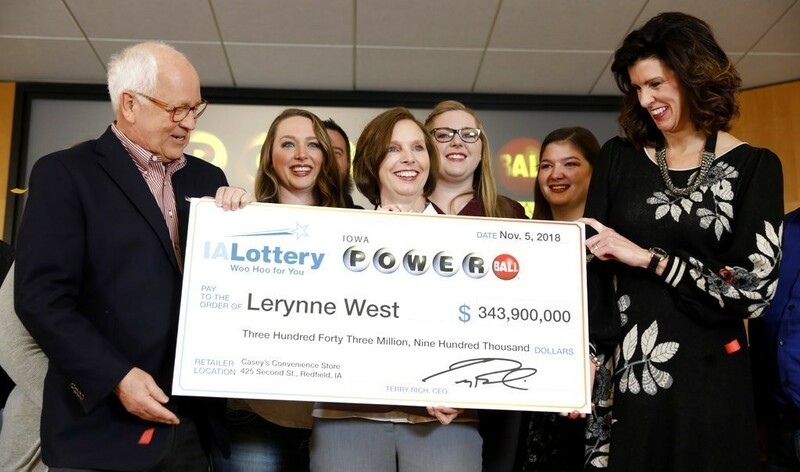 Like many of us, she often thought about what it might be like to be a lottery winner. “My girls and I use to dream of winning the lottery. Never thought we would be here today“, she said during a press conference. Lerynne bought her ticket on a whim. She had just bought a home in Redfield and after a day of packing, she went to Casey’s General Store to get something to eat. That’s when she got her lottery ticket for the big Powerball draw. Since she doesn’t play on a regular basis, Lerynne forgot to check her numbers after the draw. A few days later, a friend of hers who heard that one of the jackpot-winning tickets was purchased in Redfield called her to ask if she had won. That’s when Lerynne realized that her ticket was not in her bag, as she thought. The ticket fell on the floor of her sister’s car. Luckily for her, it was still there when she found out that she had matched all the winning numbers for the big pot. After the news about the jackpot win sunk in, Lerynne went on to claim her prize. She opted for the lump sum payout for her half of the Powerball jackpot. This was worth $198.1 million. “I plan to make thoughtful and responsible decisions on giving to my friends and my family.”, said Mrs. West. She intends to set up college funds for all of her grandsons. She is taking her lottery win very seriously. “I know the responsibility that I have is to do good with this money.” She is now setting up the Callum Foundation to honor one of her grandsons who was born prematurely and passed away. The foundation is meant to help other families dealing with this. During the press conference, she said that she thought a lot about opening a foundation like this when daydreaming about winning the lottery. Now that it actually happened, “it’s a whole new ballgame”. Another plan that she has for her Powerball fortune is to buy a big car “to take all my grandchildren places”. It’s a new beginning for Lerynne and for the entire West family. Congratulations to the Iowa winner! If you’re also daydreaming about winning the lottery one day, then put in your Powerball tickets online! 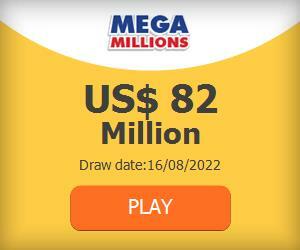 Who knows, you could be the next big winner if you take a chance! Every story begins with buying a ticket!